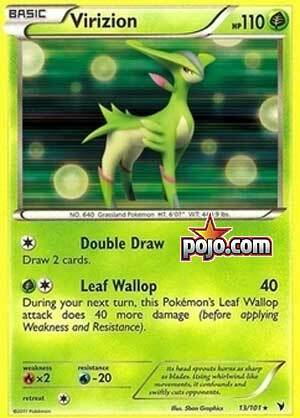 Home Featured Articles Personal Top 10 Cards from BW Noble Victories! 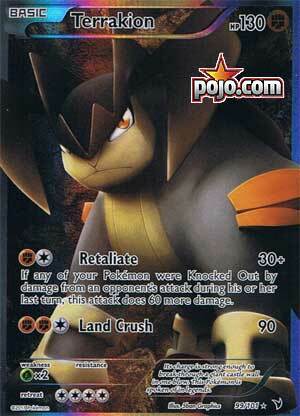 We’re here on another personal Top 10 cards from Black and White Noble Victories! As usual, enjoy a trip down memory lane when looking at cards that did very well in its own time, which would be 2011! I picked Rocky Helmet as my 10th place pick due to having the ability to put damage when your Pokemon is damaged, even if it was knocked out. There was no Tool removal at the time, so the opponent would have to think whether or not taking 2 damage counters is worth it or not. Durant has an attack that helps achieve one of the lesser methods of winning: decking out your opponent! With four Durant, you can put the top four cards from your opponent’s deck into the discard pile. This can interrupt your opponent’s strategy as some of the key cards that the opponent actually needs are being taken away. 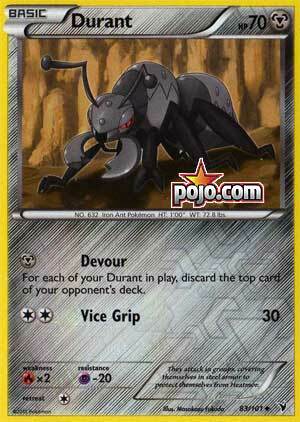 Meanwhile, you use cards that can prolong the longevity of Durant, whether it be Eviolite and Special Metal Energy for tanking or disrupting your opponent’s board state like discarding energy or using N.
This Pokémon not only recovers energy but also fuels up your Pokémon’s attacks regarding L or C energy costs. 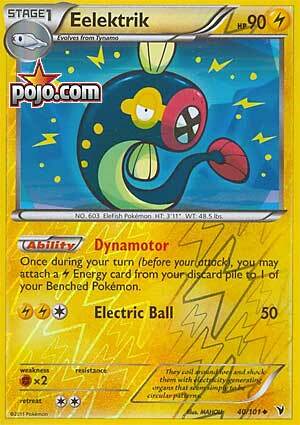 The fact that Dynamotor can recover Lightning energy from the discard pile and attach it to one of your Benched Pokemon in play means you don’t have to heavily rely on your energy recovery items and you can still use your manual attachments. Of course, you need partners that can take advantage of this awesome ability. At the time, that’ll be Tornadus, Zekrom, and even Mewtwo-EX! I just had to put Virizion there mostly because of Double Draw. For C, you get to draw 2 cards. And with 110 HP backed by Eviolite and possibly water resistance, you might be able to pull it off several times before finally going down. 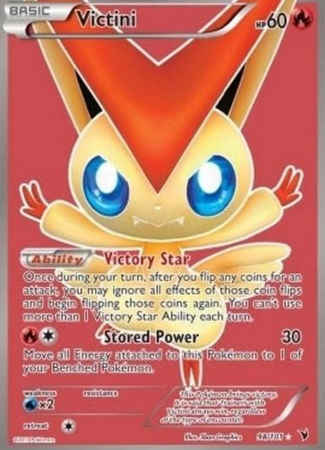 This Pokémon has a unique ability regarding coin flips. Whenever you dislike the outcome of the first result, you can re-flip those coins for a second outcome. The catch is you must keep the second result. So it’s up to you whether you want to keep the first result or not. 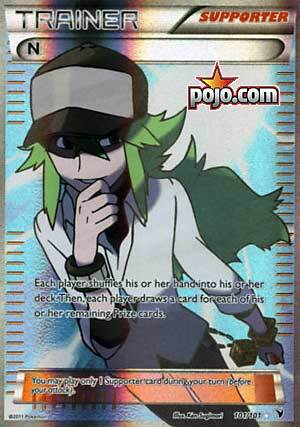 Another 130 HP basic like the other two Unova dragons, it has Outrage and Glaciate. 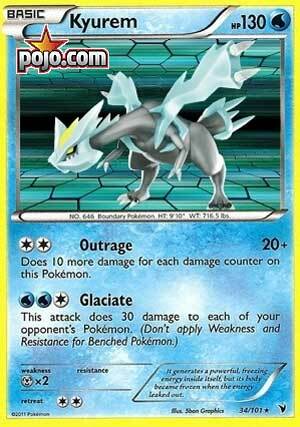 Outrage is good if Kyurem is heavily damaged and Glaciate is a very good spread attack that does 30 damage to each of your opponent’s Pokemon. That WWW attack cost can be easily met with Feraligatr Prime! Another Pokémon that hits hard when your comrades have fallen but unlike Boffulant, it utilizes it’s Fighting typing to exploit weakness so that not only it does 90 damage, it does 180 damage to Pokemon weak to Fighting. As it works once even after specific conditions are met, one must consider the timing of when to use Retaliate. For the format that’s revolving on Basic Pokémon, this tool is extremely helpful in its time. 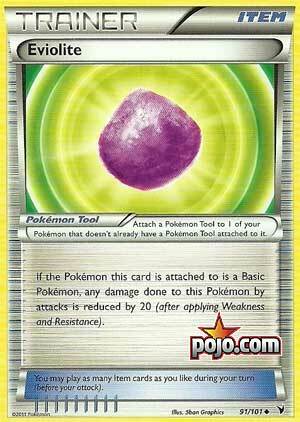 Basic Pokemon takes 20 less damage from attacks, and the wording means that both your opponent’s attack and your self-damage is reduced. Zekrom’s Bolt Strike will do 20 damage to itself as opposed to 40, and it still tanks opposing 120 damage attack due to being reduced to 100, making it still survive with 10 HP left, maximizing the value of Outrage! That’s just one example! 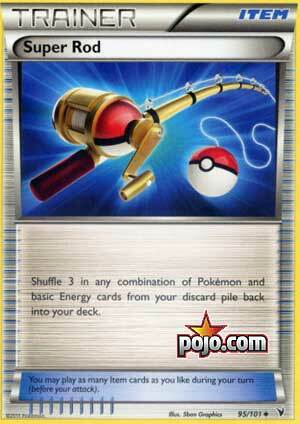 This is an efficient item card that recovers either or both Pokémon and Basic Energy cards. And although the amount you get may be limited, it doesn’t use up your Supporter, unlike ones that did more. 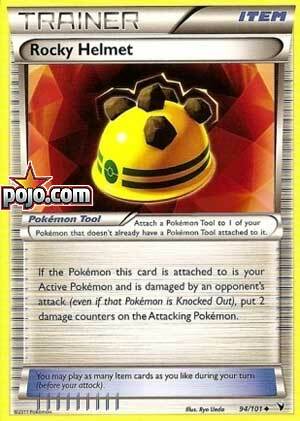 This effect of Rocket’s Admin is reintroduced in the form of this card. This stems from being a good shuffle based draw to being a disruptive card that could leave your opponent optionless. Definitely the next card to write down after Juniper when making your deck! Previous articleYu-Gi-Oh! Funko Pops – Available for Pre-Order!